Burgalimar Castle, is a Muslim fortress, built in the 10th century on a small hill overlooking the town of Banos de la Encina. Surrounded by a robust and crenellated wall with fourteen towers, plus a fifteenth Christian Tower of Homage, the castle has hardly suffered damage, whether caused by time or human action. 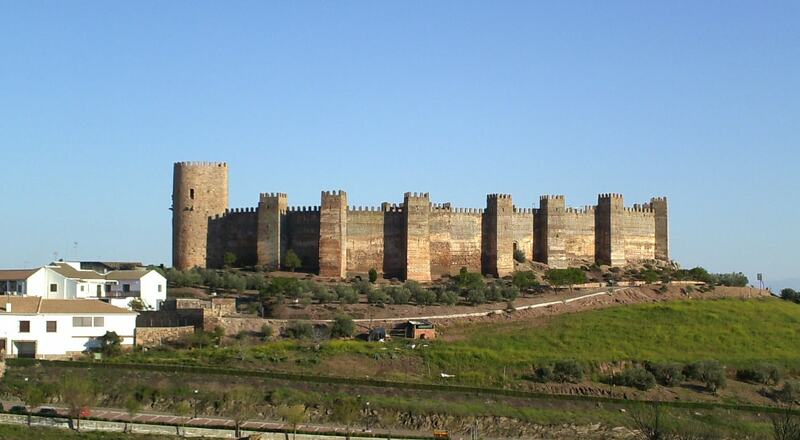 It is therefore a perfect example of a 10th-century Muslim fortress, and it is one of the best-preserved fortified settlement in all of Spain.